Etsy is forcing all sellers to use its PayPal account without the ability to offer their own standalone PayPal account. In 2017, when Etsy required all sellers to accept Etsy Payments, it allowed sellers who already offered their own PayPal accounts to continue to offer it as an option. 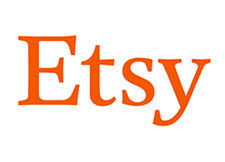 But as of May 15, 2019, sellers' own PayPal accounts on Etsy will be a thing of the past. This only impacts sellers who had been grandfathered into being able to use their own PayPal account. But for those sellers, it's a major concern. With standalone PayPal, payments are deposited immediately into the sellers' PayPal account, unlike Etsy Payments, where Etsy processes the payments and then disburses funds into the seller's bank account. (We'd like to hear from sellers about how long the delay is for them.) Needless to say, this is an unpopular move. Some sellers are also concerned about how the new policy will impact their PayPal Working Capital loans, as a seller explained on this thread. Let us know if this impacts you and how, and what actions, if any, you'll be taking to adapt to the new policy. Disgusting behavior, no venue should be able to collect and disperse funds, its a conflict of interest and should be immediately outlawed. For me this means I will always have to transfer money into my Paypal account all the time as I purchase stationary and packaging with that account. I like the fact that I have stand alone PP and annoyed at etsy doing this, they will be insisting on free shipping next! They have not taken into account the many sellers who rely on Paypal. What a bunch of predictable shitheads! This could really be the straw that breaks the camel's back for many of us. Absolutely livid about this, but not surprised, as Etsy has become one big greedy self-satisfied monster! I am based in the UK and monthly payments from Etsy to my bank account typically take around 4 days to show, although I appreciate that some of that time is down to bank processing and not Etsy. I use my Paypal account to buy new stock and components for handmade pieces as well as being able to do an immediate transfer from Paypal to my bank account without having to wait 4 days for it to process. Seriously p'eed off! Just a cash grab.. it should be illegal for them to get the interest accrued on the money they will be holding waiting for disbursement, any interest should be paid to the sellers, those funds are "theirs" not Etsy's. i have standalone paypal on etsy and i received this etsy email this morning. the title reads ''Action required: Switch to integrated PayPal'' making it sound as though i need to act. a reminder.... why do they need to send me a reminder if they will make the switch automatically? i MUST disable my standalone paypal? why MUST i, if they are ''automatically making this change'' for me? will they automatically switch me into the combined processing? or they are hoping that i will 'volunteer' to manually make the change for them? what happens if i do not choose to switch? it sounds like they just simply opt me in... maybe. i guess i'll find out because i am definitely not 'helping' them force this change on me. Etsy wants it's paws in all of our money. This is just another cash grab. There's going to be nothing left for sellers when they are done with their machinations. Its interesting to see that most of these "venue" types want to control everything, and you, the seller are responsible for everything that goes wrong. I see the walls closing in. You really don't have your own business when you sell. They pretty much control what you can do. AND, I can guarantee that in most cases, you pay more in fees to them than you make for yourself. So, you have to ask. Who works for who?? Buyers want a choice. Etsy takes away that choice, both from buyers and their own sellers. Shop anywhere else, and you can pick how you pay. So many buyers will simply walk away. Then the damage is done. No buyers, zero sellers. This decision at a time when Amazon offer a handmade section. What ARE they thinking? It's like grab the money NOW, as fast as you can. Why? They still have not sorted out the 5% mess for overseas sellers. That is still going on after over 6 months. More money in their coffers, which isn't their money. Then the USA scandal with credit cards being raided, for money never owed. If it's a problem on Etsy, then 95% of the time to do with finances. Get that all sorted out before taking your sellers Paypal payments. If they think that sellers will just let them carry on like this, well....I very much doubt it. The one thing that gets people's back up is touching their income. This is exactly what eBay is doing with Mangled Payments, isn't it? Are Silverman and Wenig the same person? Has anyone ever seen them in the same room? When a venue (LOL) gets in to trouble (cant make payments, cant figure out how to grow, needs to please WS but doesnt want to spend any banked cash), they all turn to the same ONE BANK to help them out ... the BANK OF YOUR SELLERS. Its easy, its free, the moron AGs in the states they are in refuse to do anything about it, and its fungible. The interest doesnt really exist, it cant be pinpointed, its mixed up in "transaction fees" and its ripe for the taking. NO ONE really thinks that Paypal is any safer then Adyen, nor is EtsyPay safer then Paypal or eBayPay. Its all a game to hose sellers and steal money from them. As well its a form of CONTROL. The sites have your funds and can debit you/charge you AT WILL. It should be illegal due to conflict of interest, but the lazy AGs in certain states are busy allowing illegal immigrants, taxing water and discontinuing High Speed Rail. (there may be other states similar but Im not sure). %100 eBay is the same thing - they keep interest on the float, never tell you exactly what bank your money is in, never give you access to it unless they agree ... and more. I hate this. But there is nothing we can do to change this except take our business elsewhere. And being realistic, I don't know that it is worth that. Etsy disbursements can take up to 4 days or more to arrive. If you request your funds after 12PM EST, the withdrawl doesn't occur until the next business day. So, for example, your request your funds on Thursday at 3PM, they don't debit your account until Friday at some point, the funds don't post on Saturday or Sunday because they're not business days. If Monday is a holiday you don't get your money until Tuesday. Also, say you request your money on Thursday at 3PM, Friday is a holiday, no money arrives on Saturday or Sunday, the request doesn't take effect until Monday, and the money finally arrives on Tuesday - maybe. My Paypal money is available to spend minutes after I'm paid. That's part of why I kept my standalone Paypal account. "....there is nothing we can do to change this except take our business elsewhere." Actually, there is something else that can be very (additionally) effective - IF enough who have 'had enough' actually do it. Boycott all those who ADVERTISE on the venue. And be sure to contact THOSE advertisers and tell them why you intend to do that. Of course, as a practical matter, it may not be feasble (in similar fashion noted) to forgo all product from every advertiser - some things are essential - however it's also true that most of those 'essentials' can be obtained via alternate sources. And, it's no small 'task' to do, and follow through, to be sure. But as a means to make a point, get some real 'attention', and have best chance to induce change - it works. PS - excellent point by Smc54 about reducing choices (i.e., payment methods 'allowable') for those who patronize - that's no way to attract 'customers'. I'm unaware of any outside advertisers on the site. They differ from eBay and Amazon in this regard. Since I have barely made a sale since the current CEO took over I don't regard this as a problem. Corporate Money Grab 101. Crooks & Bastards. Hate them all.